We have had an exciting term in Year 1. We kicked off the year with our special assembly on Diwali. 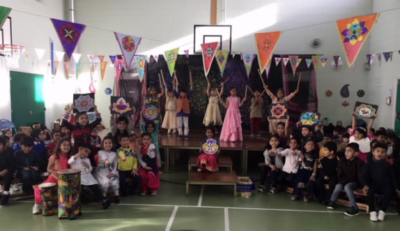 The children and staff worked hard to put together a performance full of song, dance and colour. Every child contributed from acting, narrating, singing, dancing, playing the drums to showing off rangoli patterns, divas and much more. We hope you all enjoyed watching it. << Previous Previous post: Reception stay and play sessions.